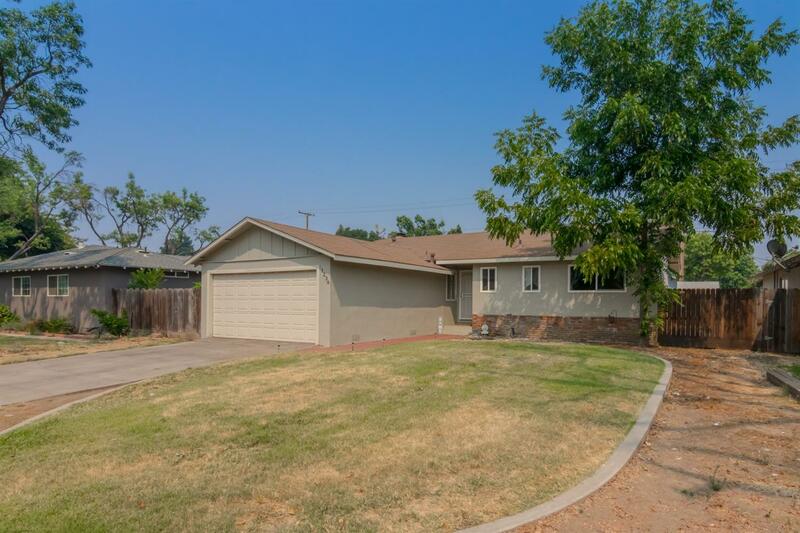 Affordable single story ranch home in Modesto! This home features 3 bedrooms & 2 full bathrooms. Kitchen has been updated w/granite counters, stainless appliances & tile floors. Open concept leads to the living room w/fireplace & recessed lighting. Master suite has updated tiled shower. Hall bath is also recently updated with tile. Warm tone laminate floors throughout entire home. Massive backyard w/covered patio & RV/Boat access. Newer dual pane windows & ceiling fans throughout. Move in Ready!